„Panayot Volov” Primary School is an advanced and competitive school that provides education for children aged from 4 to 14. We have around 400 students with a staff of 37 teachers. The school offers full-day form of education for children in pre-school groups and for the students 1st -5th grades, the 6th and 7th grades have classes only in the mornings. Thereare two buildings, one for the pre-school groups and the other forthe students 1st – 7th grades. There are also two gym halls, twoplaygrounds and an outdoor classroom. The school is situated in a residence area of Varna, right at the Black Sea coast of Bulgaria. It is the oldest school in the city and we are proud of our traditions and projects` experience. As the school is located near the summer resorts and also near the industrial and cultural city of Varna, the pupils come from various families with different backgrounds. We are proud to host students from different ethnic groups as well as being able to provide special education for students with special needs. In order to get fully socialized, they are actively involved in many projects. Children need activities that reflect their dreams and ambitions, while being related to their roots and traditions at the same time. The students’ body is very successful in many different competitions; motivated to work hard and interested in various extracurricular activities. The students have taken part in lots of sports and art activities, as well as ecological competitions and a great number of other challenging projects. Our school successfully gained a certificate for being an „Eco school“ and „Green flag”. Themission of „Panayot Volov” Primary School ïs to build a free,moral and proactiv individuals with a strong civic consciousness andbehavior, respecting the laws and rights of others, their language,religion and culture; Education and training according to the stateeducational requirements and standards of the European Union in thespirit of democratic values; Absorption and formation of national anduniversal virtues of individuality development and stimulatecreativity. The teachers` staff has general objectives – to improve the quality of teaching by applying new methods and resources; to attune the content of curriculum to the needs of labour market; to improve employability of pupils by developing transversal skills such as entrepreneurship, problem-solving or creative capacity. Improving all these we will help the students to be better citizens of Europe, and ultimately better citizens of the future. 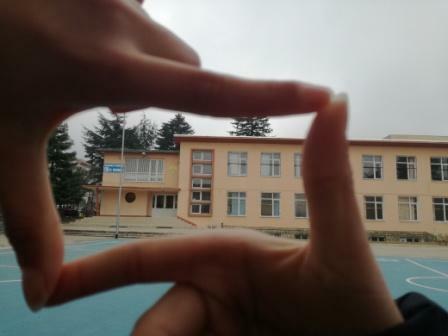 Our school is located nearby two national parks and that helps us to be more closed to natural way of living and provokates us to organize eco festivals, participate in events as „Forest Days”, The Day of the Black Sea”. Healthylifestyle and sports are practised both in the curriculum and theplan of extracurricular activities in our school. Our students winprizes in football, basketball, volleyball regional competitions. Presenting students` abilities and skills are one of themain task for us. Our artists, and singers are winners in regional and national contests and the school corrodors are turned in „an art gallery” where the best pictures and diploms are exposed. The school has a positive image in the local community and the parents thathelps us to realize a lot of activities as „Opened school doors”, when pupils invite their parents and friends in classes to show what they know and how they work and the parents can present their professions and hobbies. On the other field, the participations in two Comenius projects and two Erasmus+ projects gave opportunity for the deployment of the creative potential of teachers and students and we could apply new methods and modern techniques of education and integration. Most of our students 5th -7th grades are committed to a range of eTwinning European projects. That is the platform where they can share ideas, opinions and can practise their English and IT skills. The participation brought a lot of emotions and two European Quality Labels.